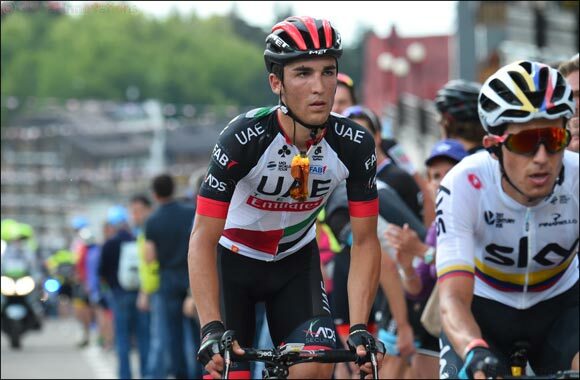 Dubai, UAE, June 19, 2018: UAE Team Emirates will continue its preparations for the Tour de France as a team of seven riders gear up to take on the Adriatica Ionica Race (20-24 June). The team will be fronted by Valerio Conti, who goes into the five-stage race in high spirits, having impressed in recent weeks at the Giro d’Italia and Criterium du Dauphin�. The young Italian will be supported by a team blending youth and experience that includes: Ben Swift, Darwin Atapuma, Simone Consonni, Simone Petilli, Manuele Mori and Edward Ravasi. The Adriatica Iconica Race is the latest instalment of the UCI European Tour, making its debut as a category 2.1.